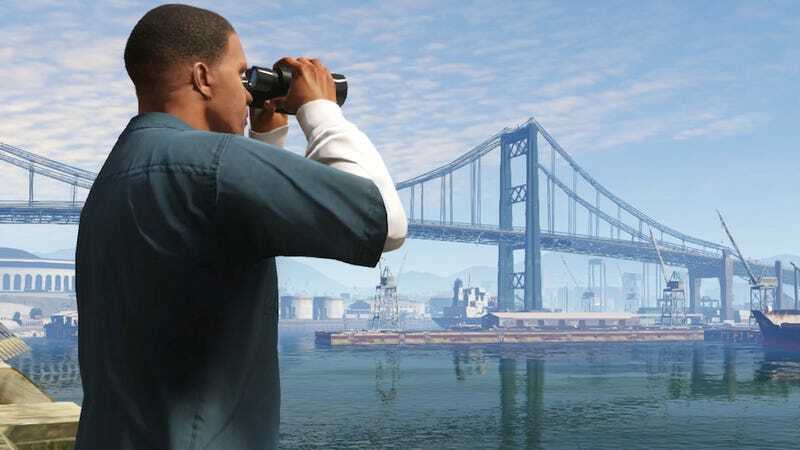 We've always kind of assumed that Grand Theft Auto V will be out on PC at some point in the near future, but Rockstar has stayed quiet about the possibility, even after loads of speculation and murmurs from outside companies. Today, the rumor cloud gets a little bit thicker. Gaming website Eurogamer says "multiple industry sources" have told them that Rockstar's open-world mayhem simulator will be out on PC in the first quarter of 2014. Rockstar's plan, Eurogamer says, is to mirror the release schedule for GTA IV, which hit consoles in April of 2008 and PC in December, eight months later. GTA V came out on September 17. Eight months from that would be May of 2014, which isn't the year's first quarter, so if Eurogamer is correct here, the PC version of GTA V won't precisely mirror GTA IV. We've reached out to Rockstar for comment, and we'll let you know if they say anything.